Reckon offer an online Support Forum in addition to the professional training, and support services, and services available from Professional Partners and Accredited Consultants. This peer support by the Community, is an invaluable resource. An overwhelming majority of users are able to obtain answers quickly, easily and effectively from the forum. The totally open Community forum allows interaction to take place between new users and experiences users alike, with input from Partners and Reckon staff, all contributing to solutions in quick time. It compliments well, the other services of training and resorting to user manuals/references very well indeed. And what’s even better: The COMMUNITY FORUM is available 24/7 around the clock! ReckonChat Monday to Friday 9am – 5pm AEST. 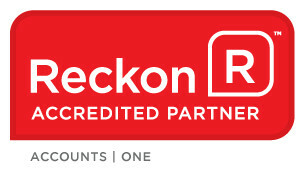 ONLINE TECHNICAL SUPPORT – Reckon Accounts Hosted. A department that assists with data issues, and has a password removal service. Many independent third party software developers provide solutions that offer additional functionality to Reckon Accounts users. AT this link, are solutions that independent software developers have developed to compliment Reckon Accounts.